Air Conditioning Maintenance | Clean Air Act Inc.
Spring is here, and summer will be along before you know it. Prudent homeowners will give their air conditioning systems a close look sometime this spring. It will help your unit function more effectively, and cut into those high summer bills. Why is Air Conditioning Maintenance Important in the Spring Time? Spring is the perfect time to make sure that our air conditioners are working well for the hot summer months. While professional air conditioning installation is critical to ensuring that your system is both energy efficient and effective, routine maintenance is just as important. It may even be required for the purpose of keeping your AC under warranty. Whatever type or brand of AC you have, professional care is a great to improve energy efficiency, increase performance levels, and improve the longevity of your system. To schedule a consultation with a Portland OR air conditioning pro about your AC system, call the experts at The Clean Air Act Inc. today! Energy efficiency. Every AC that is manufactured and sold in the US has a SEER rating. This acronym stands for Seasonal Energy Efficiency Ratio, and it estimates the ratio between cooling output and electrical energy input during the course of a single cooling season. The higher the number the better. However, it doesn’t much matter how high the SEER of your AC is if it is dirty and in disrepair. Whether your AC is 3 or 13 years old, it will not make the most of your energy consumption unless it receives routine inspection, cleaning, and tune-ups. Performance. You invested in a comprehensive air conditioning for your home with one thing in mind: cooling performance. But like our cars and trucks, our ACs need maintenance to ensure that they’re operating well for years to come. While you can keep vegetation from encroaching on your outdoor unit, and keep your air filter clean on a regular basis, the complex machinery of your AC needs professional attention to keep your home cool. Longevity. An air conditioning system is a major investment in the comfort of your home. But it will simply not last as long unless it is regularly cleaned and tuned-up. Regular inspection also gives you the advantage of catching problems early before they require major repairs or premature replacement. For comprehensive Portland OR air conditioning maintenance, call The Clean Air Act Inc. today! Posted in Air Conditioning | Comments Off on Why is Air Conditioning Maintenance Important in the Spring Time? When Should You Check Your AC Filters? The filters on your Portland air conditioning unit are vital for keeping out the dust and debris that make things like illness, allergies and air quality worse. And it’s important that you take personal responsibility for checking those filters. Sure, you have a Portland air conditioning professional visit your home once a year to check the air conditioning, but you should also check the system yourself on a semi-regular basis for possible filter degradation. So, how often should you check? Think of it this way. There is no such thing as checking too much, but you can easily not check often enough. So, we recommend checking your filter at least once every 4 weeks. It may not always need to be changed during that four week checkup (sometimes it can last 6 weeks or longer), but it’s good to take a peek. Why is this so important? Because filters that haven’t been checked and changed as needed have a habit of building up excess sediment and debris. Not a problem when it comes to actually working, but a huge problem when it comes to your energy bill. The harder a system has to work to keep you house cool, the more energy it draws and the more you pay to have cool air in your home. And it will break down much faster as a result of overwork and dirty filters. Find Your Filters – If you don’t know where your filters are, ask your contractor on the next visit or look near the return grills by the thermostat. Remove the Filters – Open the latches and pull the old filter out to check it. You should be able to see clearly through a permanent filter and a disposable one should still be white. If this isn’t the case, it’s time for a cleaning/replacement. Clean the Area – Clear the grill and area of any debris and sediment that might make the filter worse after replacement. Proper filter maintenance only takes five minutes and it will save you money every month you run your Portland AC – not a bad deal for a few minutes’ work. For any more information about air conditioning system maintenance, give Clean Air Act a call! Posted in Services | Comments Off on When Should You Check Your AC Filters? 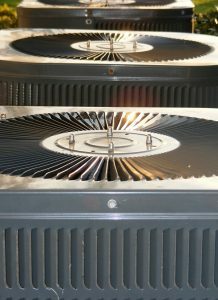 What Does Professional AC Maintenance Include? Besides the cool air, what we like most about our Portland air conditioning is that we don’t have to do anything to still live in a cool climate when it’s boiling outside. With programmed thermostats adjusting the temperatures automatically, we don’t even have to turn it on. Therefore, it is very inconvenient (not to mention uncomfortable) when our unit misbehaves and forces us to pay attention. Our first inclination, suddenly over-heated, may be to call for help, but often the repair can be accomplished easily or avoided completely by checking the drain line that may be clogged. 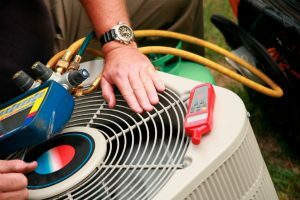 When it gets more complicated, it is important to consult a Portland air conditioning professional. Air conditioning is a process which involves the rapid evaporation and condensation of chemicals called refrigerants, compounds that have properties allowing them to change from liquid to gas and back again at low temperatures. Simply stated: when the liquid evaporates and transforms into gas it absorbs heat. Compressed tightly together again, the matter condenses back into liquid with a residue of unwanted moist heat that must be released to the outdoors. Over the course of handling the air to cool it, air conditioners are able to filter dust and dehumidify the air as well. Air conditioning units are designed to last for a decade or two of virtually trouble-free comfort, so long as they are maintained regularly. A service contract with a reputable company ensures reliable maintenance and establishes a relationship so that if anything should go wrong, your call for help will be at the top of the list with a mechanic who likely knows the details of your particular unit. a check for the accuracy of the thermostat. To schedule your maintenance appointment today, give Clean Air Act a call! Posted in Services | Comments Off on What Does Professional AC Maintenance Include? While not every HVAC system in your Portland home requires electricity, many of them do. Your air conditioner, electric furnace or water heater and ventilation system all need access to the central power line. So what does that mean for your system and what problems should be you beware of? Air Conditioning – Most air conditioners are electric and therefore use electricity based on the number of BTUs produced. For example, if your air conditioner produces 25,000 BTUs and has a SEER of 16, it can produce 16 BTUs for every watt of electricity consumed per hour. As a result, it consumes 1,562.5 watts per hour when the system is running at maximum capacity. If it runs at full capacity for 8 hours per day, 30 days a month in the summer, that’s 375 kilowatt hours – which is the measurement unit you’ll see on your electric bill. Heating – Your heating system may not use electricity, as many homes today use gas or oil combustion furnaces or boilers to produce heat. However, if you have an electric furnace, that electric power is used to heat the filament in the furnace. Electricity also powers the blower fan motor which pushes air across the filament and into the air handler. An electric furnace sized to heat a 1500 square foot home can use up to 8,000 watts per hour to produce enough heat for your home. That converts to roughly 5,000 kilowatt hours per month. The current price of electricity will determine how much this actually costs, you but it can really add up quickly. Ventilation – Your ventilation system is almost always going to use electricity to circulate and filter air. While mechanical filters rely on the movement of air to remove certain particles, ventilation systems have a variety of components including fans and possibly even condenser coils to conserve energy as air is exchanged between the inside and outside. Electricity plays an important role in your Portland HVAC system no matter how your system works. To ensure yours continues to operate as intended, have your power system checked on a regular basis when the rest of your HVAC system is serviced. Call Clean Air Act today to schedule a maintenance appointment for your Portland HVAC system! Maintaining your Gladstone home is important, but it must be done properly. Learn these common maintenance mistakes so you can avoid making them yourself. Forgoing Annual HVAC Maintenance -Your home’s heating, ventilation and cooling (HVAC) system should be thoroughly inspected each year. This is vital to keeping your house comfortable and energy efficient. Improper smoke and/or carbon monoxide detector maintenance – Smoke and carbon monoxide (CO) detectors should not just be installed properly, but also maintained properly. Test them monthly and replace drained batteries immediately. Ignoring manufacturer instructions – Not only instruction manuals are they important for proper installation of important equipment in your home, they also contain maintenance recommendations and schedules. Adhering to these instructions protects your investment in your home. Not replacing filters regularly – Speaking of regular maintenance, remember that the air filters in your furnace and air conditioning units need to be replaced regularly according to manufacturer recommendations. Not keeping gutters clean – Speaking of water damage, clogged gutters can overflow and cause problems in a hurry. Clean gutters and downspouts at the start of spring and regularly as needed. Insufficient cleaning (filters, ducts, vents, carpets, furnace room) – Keeping filters, vents and ductwork clean extends the life of your ventilation equipment and keeps energy costs down, as does vacuuming regularly and keeping your furnace room free of debris. Skimping on labor costs – Paying cheap rates for poor labor will cost more down the road when you have to hire another contractor to fix the first one’s mistakes. There are other ways to err in home maintenance, but this list covers some of the more common doozies. In general, as long as you are careful, diligent and not afraid to call in professional help when needed, you will be just fine.